Very Good. 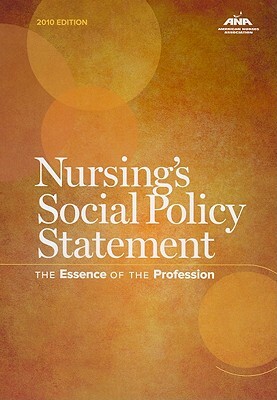 Nursing's Social Policy Statement: The Essence of the Profession. Trade paperback (US). Glued binding. Contains: Diagrams, Figures. Very Good. 1558102701 Ships promptly from Texas. Very Good. 1558102701 Ships from Tennessee, usually the same or next day.